This is a roomy carrier for your lunch with plenty of room. The fold-over flap closure opens wide for easy access. An interior mesh pocket holds an ice pack. 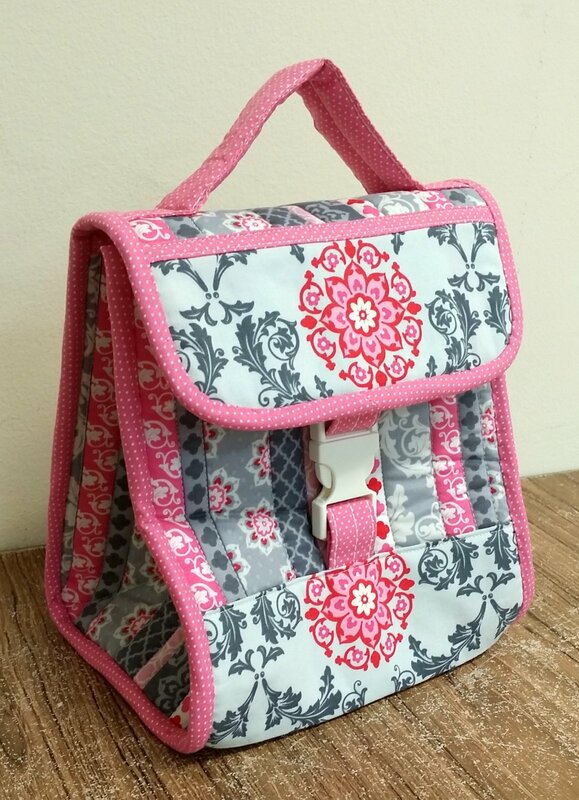 You can personalize the bag with machine or hand embroidery or add a border of chalkboard fabric. These make great gifts.